In order to buy items, you must first be a registered member. If you are already a member, please follow the instructions below to deposit to your account. 1. Open the main lobby. 2. Click on the Cashier button. 4. 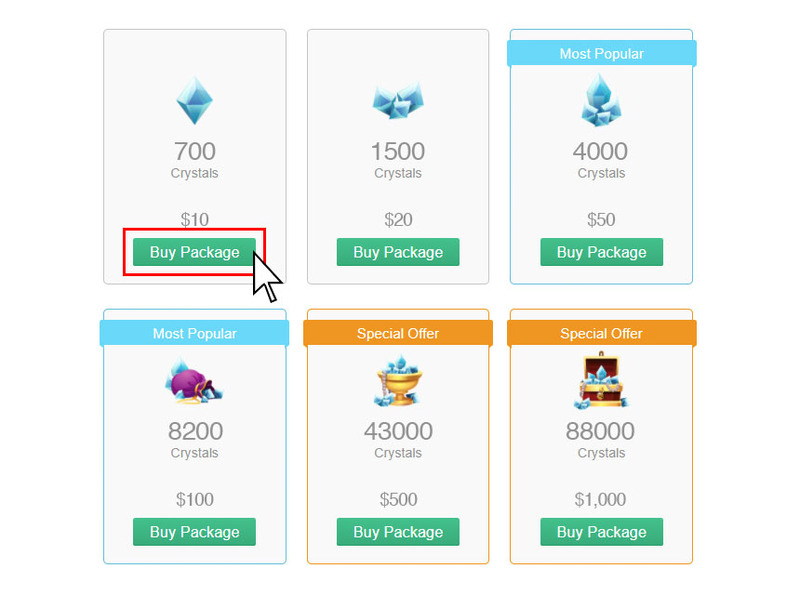 Select item packages to purchase. 5. You will be presented with several payment methods to buy items. 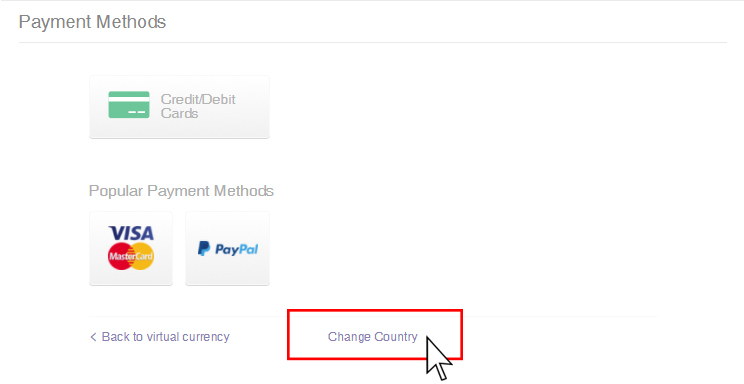 If you do not see your preferred payment method, click on “Change Country”. 6. 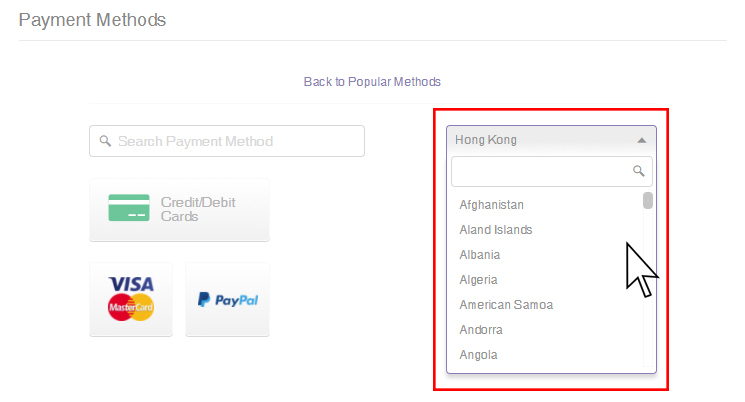 Click on your preferred country and check out the payment methods. 7. Click on your preferred payment method and enter payment information. 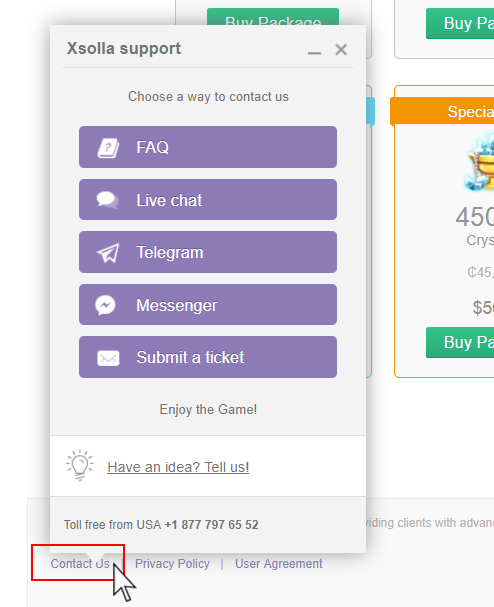 After entering information, click “Pay Now” button. The processing schedules listed above as “Up to 10 minutes” are only estimates. In most cases your deposit may be processed in a significantly shorter period of time. In certain unusual cases your deposit could take up to 24 hours to process. 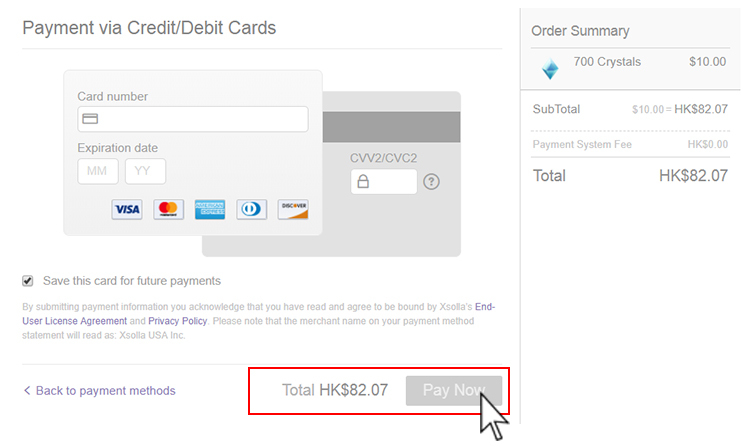 If you have some problems with purchasing items, click “Contact Us” in the payment page.